31 Days is an online writing challenge started by home blogger, Myquillyn Smith (The Nester), and now hosted by Crystal Stine, where bloggers pick one topic and write a post on that topic every day in October. We all link up just once on day one so that we can see all the topics and read the ones that most interest us. This year I am writing on discipline. At the beginning of the year DISCIPLINE was my One Word. I asked a friend to challenge me further with scriptures that will help me go deeper in my discipline in different areas with the Lord. Each day I will post the link to this main page. Join me in the journey to discipline. 22.Luke 12:35-36 Opportunity knocks. Are you ready? 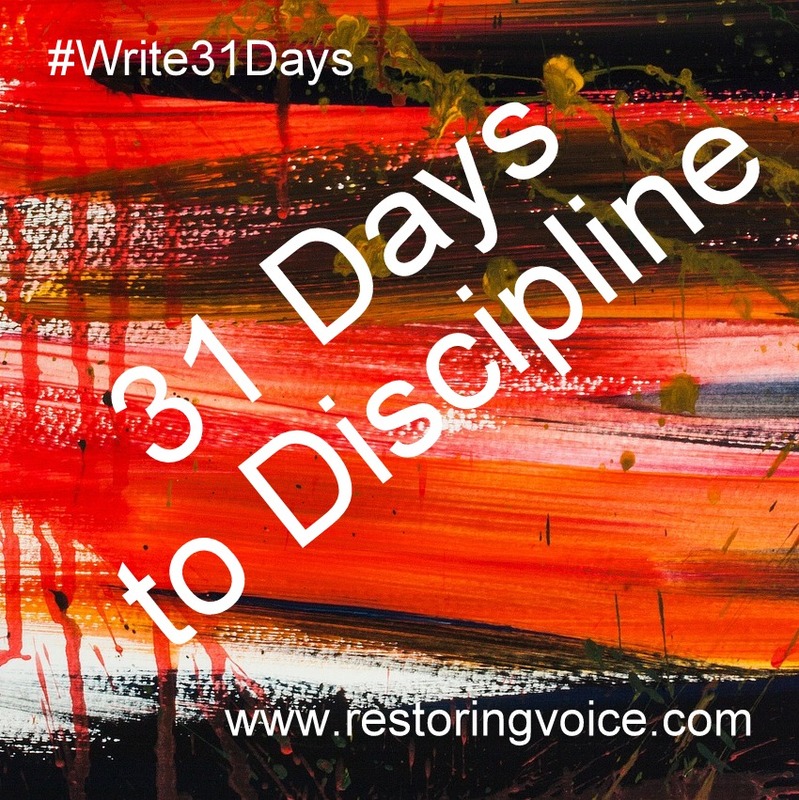 This entry was posted in Faith, Hope and tagged #OneWord, #Write31Days, discipline, Scripture. Bookmark the permalink. Thank you a lot for sharing this with all people you actually understand what you are speaking about! Thank you, I am a work in progress, but God’s teaching me. I will check out your blog.